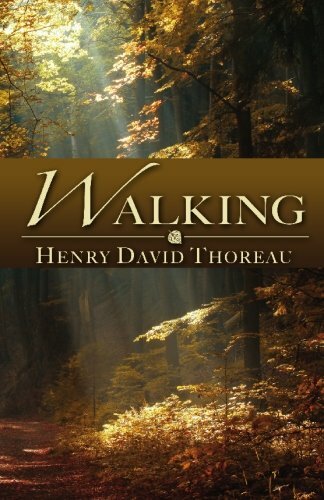 Reading Walden and you imagine being alone in that forest next to the lake, you imagine walking and seeing the plants, you hear the sound of birds, you learn to distinguish the species of fish visible through the clear waters. The author describes in moving detail even a territory war of ants: several pages of ruthlessness ensue but also heroism and self-sacrifice compared only to the noblest of heroes. The scene ends when our lone survivor, wounded, staggers… and falls off the window ledge, unrenowned. How much meaning can be found even in such small happenings in nature, how much meaning goes unnoticed every day? One only has to look for it. I got a fresh appreciation for the small things, I loved all those descriptions of plant and animal behaviours, it all made me admire wildlife and anticipate next time I ll happen to be in a forest or park. I will be more aware, this is sure. This is the spirit I was longing to find in Walking, and this I didn’t find. It was not bad, but it was more general and philosophical and thus not as exciting.